The term Web services describes a standardized way of integrating Web-based applications using the XML, SOAP, WSDL and UDDI open standards over an Internet protocol backbone. WebSockets as a communication technology wins increasing importance. In the SAMPLES namespace, you find a nice example for running a WebSocket Server. How to consume the output of a WebSocket Server in your application? In this article I'll cover testing and debugging Caché web applications (mainly REST) with external tools. Second part covers Caché tools. You wrote server-side code and want to test it from a client or already have a web application and it doesn't work. Here comes debugging. In this article I'll go from the easiest to use tools (browser) to the most comprehensive (packet analyzer), but first let's talk a little about most common errors and how they can be resolved. There is also a useful example for a Browser Client. But it is still in the browser. Recently we supported a few NHS cases that required TIE (Trust Integration Engine) integration with the PKB service. Hence this article is meant to be a 10-minute quick guide to describe a demo solution (simple configurations and end-2-end implementation steps) for Health Connect (Ensemble) Integration with PKB (Patient-Knows-Best) service. 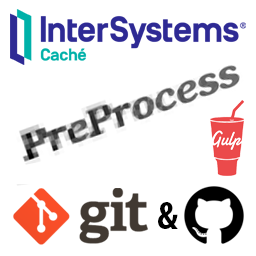 There have been a few use cases recently within InterSystems where we've needed to connect to Caché-based web services from PHP. The first of these was actually the Developer Community itself, which uses web services as part of Single Sign-On with other InterSystems sites/applications. The following example demonstrates how to connect to a Caché-based web service (particularly, the web service in the SAMPLES namespace) from PHP, using password authentication. In this article I'll describe how to set up web services and/or REST services using EWD 3. When calling out to web services there are several settings of the Business Operation that play together in controlling what will happen when a response is not returned in the desired time. When dealing with SOAP in Caché, it is sometimes necessary to debug errors by directly accessing (and sometimes editing) the XML which is sent, i.e. the SOAP request and subsequent SOAP response. If you’re debugging a Caché web service, it is often useful to use a tool such as SoapUI (https://www.soapui.org/) to manually create and control the SOAP request, so that the effect of adjustments can easily be seen on the Caché web service. But what if you have a web service (possibly not Caché), and you want to debug the associated Caché web client? You may have the SOAP response XML saved in a file (e.g. a Caché SOAP log) – what you need is a ‘dummy’ web service to send it to your Caché web client, behaving like the actual web service. Today I'm releasing a new EWD 3 module - ewd-feder8. ewd-feder8 is a federation or integration platform, built as an extension of the EWD 3 ewd-xpress module. So what does it do and what's it for? It's all about federating and integrating multiple web or REST service end-points. At its simplest you can use it as a proxy server in front of a remote web service or REST end-point. More usefully, you can send an HTTP or REST request to ewd-feder8, which can then forward it to every member of a group of web service or REST end-point servers. The responses from the servers are automatically combined by ewd-feder8 to create a composite response which is then returned to the client that sent the original request to ewd-feder8. Quite a few enhancements have appeared over recent months in QEWD for easing and simplifying the creation of REST-based services. It's now even more slick and powerful, allowing you to very quickly create very high-performance, highly-scalable REST (and Web) services that make use of Cache. ERROR #729: Certificate /qmd/ens_chldev_1/mgr/SILCert/SILCSSSJR-CER.cer is not valid for TLS Web client authentication . As Rob explained in an earlier post, Caché's Node.js interface allows you to create Web Services and REST Services using the very modular EWD 3 framework. I need some clarification on web service (Soap Service). For each Soap request, system consuming 1 license and it is not releasing until CSP session timeout and extra grace period 5.10 minutes(310 seconds). Due to this, at some time license consumption is full. If i use with Login credential (i.e password authenticated web service), it consumes one license for 25 connections(request). But i need to use it as anonymous user(Unauthenticated). I faced with the issue when WebSocket connection just fails without any errors if I send data with size 384 bytes and more (In binary mode the same). As I know by standard WebSockets frame does not have such limitation. Is there any way how to decrease it? This limitation too small, it is too difficult to fit this size and needs to send data much more often than I expected. Tested with Caché 2016.2, 2017.2 and IRIS 2018.1. I've got this piece of code which runs the method "WebMethod", that belongs to %SOAP.WebBase.cls. It grabs the outcome from an internal webservice we have and after that, it writes into a file. The thing is, when I browse the file contents, I realize that in the place where a special character should be, I see a question mark. By querying the same webservice from a special soap tool called "SoapSonar" (I've been using this for years), the outcome shows up this special character (shows it properly). So I wonder... is there kind of encoding parameter I could use within the "WebMethod", so it'd return the correct output? how to connect to the Cache database from node.js ? I have installed in Windows 10 the following: CACHE 2016, node.js v 4.4.7 and express . - where can I get cache.node? The link in the Intersystmes documentation http://globalsdb.org/downloads/ doesn't work. I found cache0100.node and cache0120.node in my Cache instance's \bin directory. But I am not sure if I can use them or not. - how to install cache.node ? Where do I place it exactly? Can anyone recommend any tutorial or code example with installation instructions? What's the best way of doing Reports in Zen Mojo. Hi everyone, I have and Zen Mojo application, it's all working but I have some doubts about what is recommended to use: There is some reports of employees, for example, and actually I'm using some plugins : "Excelent export" to generate Excel reports and "jspdf" to generate PDF reports in client side. I have an REST service, that receives the request, process and returns JSON, after client side receive the response it's processed. - This can be slow/bad in applications with large data? - It's better/recommended to use ZenReports even with ZenMojo applications? - Or Zen Mojo, like any other applications based on HTML, JS and PHP can support this with any problem? - The preparation of the JSON is very fast because the use of %DynamicObject and %DynamicArray; ZenReport can be slower than it? Hello Cache Developers: I was curious if anyone has ever created a TWAIN interface to their Cache Application? I am new to TWAIN and hence the reason for this question. From what I understand, TWAIN is software used by various digital imaging software and TWAIN provides an API for applications to call to be able to import images into their application. I work with a healthcare application and was wondering what types of things are required for a Cache Web Application to call the TWAIN API to be able to load images into a Cache table. Any input, sample code, or suggestions is appreciated. Thanks and Have a Great Day! Happy Coding. Does the Caché installer do all of the necessary setup for using Atelier when upgrading a pre-Atelier instance? I just upgraded an Ensemble 2016.1 instance to 2016.2 and the /api/atelier web application wasn't created automatically. Aside from creating this web application is there anything else that needs to be done to support Atelier? See my comment below -- this was caused by a permissions problem during the upgrade. After fixing the permissions problem and upgrading again Atelier works. Does anyone have any experience with getting, unfortunately, an older version of Cache to authenticate via SMTP to send email? I have verified that the settings are set up properly on the mailbox as I have successfully sent an email from a LAMP server, which comes from the same IP address. If you have any thoughts, I would greatly appreciate it. ERROR #6034: SMTP server connection failed during MAIL FROM command: <READ>zSend+105^%Net.SMTP.1. When try the following to send back SOAP Fault, is the following correct way? Set fault.detail= "Error on server"